My name is Yvette Lyons, Ph.D. 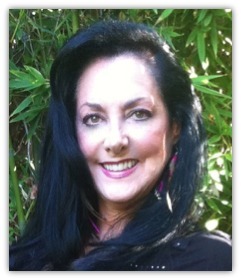 I am a Certified Expressive Arts Therapist, and a Professor of Psychology with a Specialty in Expressive Arts Therapy. Up until recently, I had been the Director of the Expressive Arts Therapy Dept. at the San Diego University for Integrative Studies. 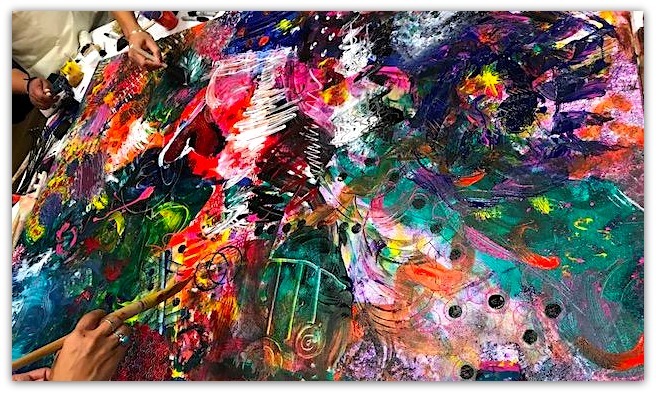 Over the past 3 years, I opened my own studio in North County San Diego called the Live Your Art Studio where I offer professional certification training in Expressive Arts Therapy, Sandtray Therapy and MARI Mandala Therapy. I also hold Expressive Painting workshops and Open Studio days where people can come and share their creative energy for creative renewal. 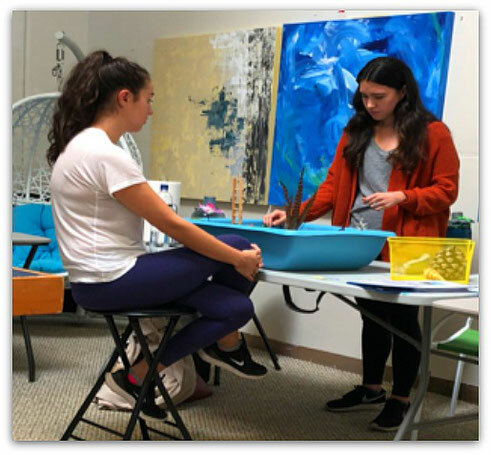 I have been using Expressive Arts with various populations over the past 25 years with both adults and children in private practice and programs all over San Diego County. My studio is called the Live Your Art Studio, and is located in San Diego, CA., U.S.A. I have worked with Adults, Children, Elderly populations in both the private as well as county programs. I love working with all of these populations, as I feel each bring their own unique needs and heart to this work making it exciting for me to work with. 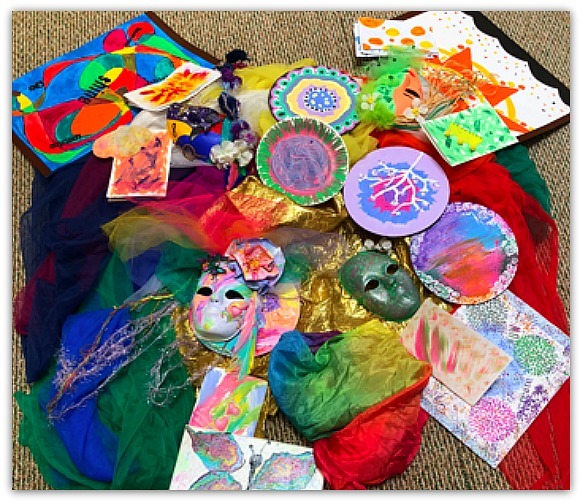 Currently I am training and teaching the use of Expressive Arts to people who want to work in the mental health field, but to extend this work to the corporate as well as general populations. I believe we all benefit from engaging in the creative process in all aspects of our lives. My studio is open and inviting. Most importantly, I encourage the feeling of community and safety so that my visitors feel they have a free and spontaneous space in which to create without feeling uncomfortable. Together we form a ‘Creative Resonance’ which seems to happen on it’s own. This is where our group frequently falls into this deep place of creative sharing. I believe that our art comes from a deep place no matter what we are creating, and that each piece of art we create is a piece of the puzzle of who we are. I encourage music and creative writing as well as movement with my work at a multi-modal approach. People who come to create and learn at my studio always comment on how comfortable they feel at my studio. I create a sense of community and framework where the focus is on your inner creative process and personal gain from your work. The emphasis is on the process and not the product. We do not compare or compete in our process. It is a space of openness and acceptance that generates emotional and psychological safety. Delving deep into your creative process is what I strive for. 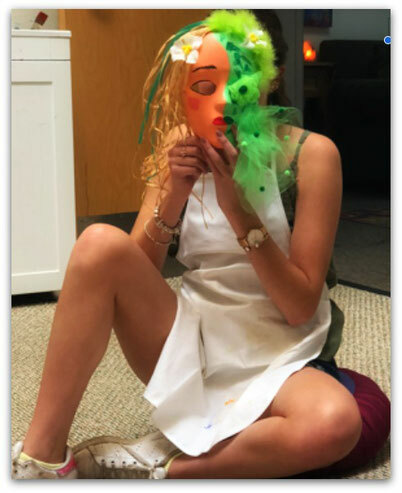 I love Joseph Campbell’s ‘The Hero’s Journey’ I will frequently do a mask making process where I take my group through a visualization bringing them into a garden where they meet their Inner Hero. This inner archetype brings a message of healing and transformation. After the visualization people are prompted to create a hero’s mask, followed by a brief journal writing entry about the experience and the message they received. Each member of the group shares their mask with the other participants in a safe and accepting environment. Some times we may do a movement exercise with our masks to embody the whole experience. I am most touched by how creative we all are, and how until you can move your fears aside and allow your creativity to flow you can see this and accept it. I am also very touched by how when we come together in a group to share our creative energy, how open and supportive we all are with each other’s process. I once worked with a woman who was visiting the U.S.A., from another country. We did a body mapping group where we started with a movement exercise to music, allowing the creative energy to flow through our bodies and detect and move through stress or blocks in the body. On life size paper we traced our bodies and then painted them telling our stories. This woman painted her body cut in half vertically with stress on both sides. Later in our discussion she cried as she told the story about how she was an only child, and of how she wanted to move far away from her parents who would each talk to her about the other and she held all that stress in her body. The use of music, movement, art and aromatherapy helped her move these blocks and become more aware and integrated. I think the most challenging part of running my own program as opposed to working at a University is that at the University, my students were attracted to the University environment. Having my own studio, I have to be the one to market my program and introduce what I do to others. I am a therapist, I am an artist, I am an educator! I love being each of these. 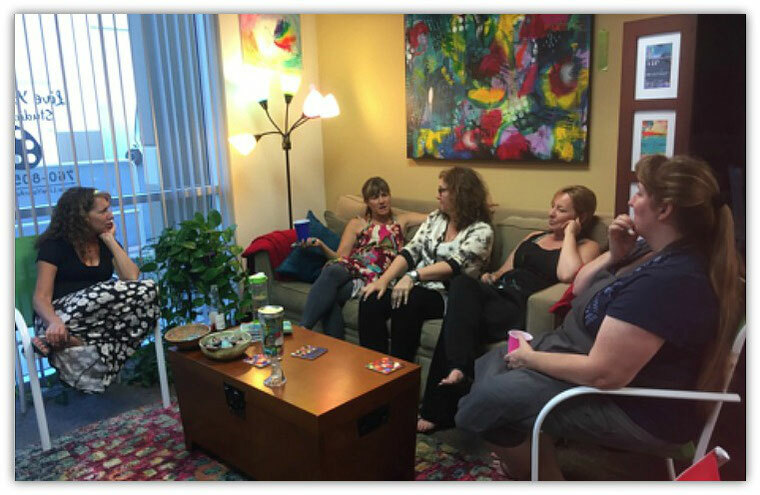 As a therapist, I use the arts with others to help them grow, heal and change. As an artist I am always in my studio painting. 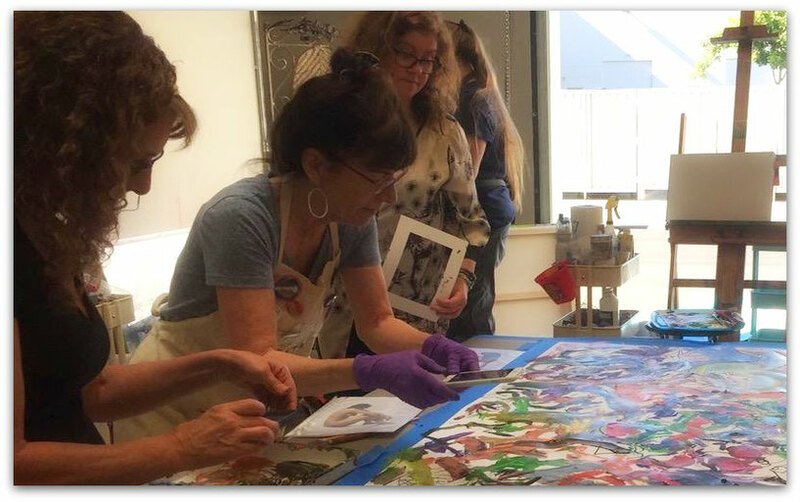 I invite teachers from around the world to come to my studio to offer a wide variety of painting experiences. I also hold open studio days both for my studio as well as for the American Art Therapy Assoc. where people can come and create with me. 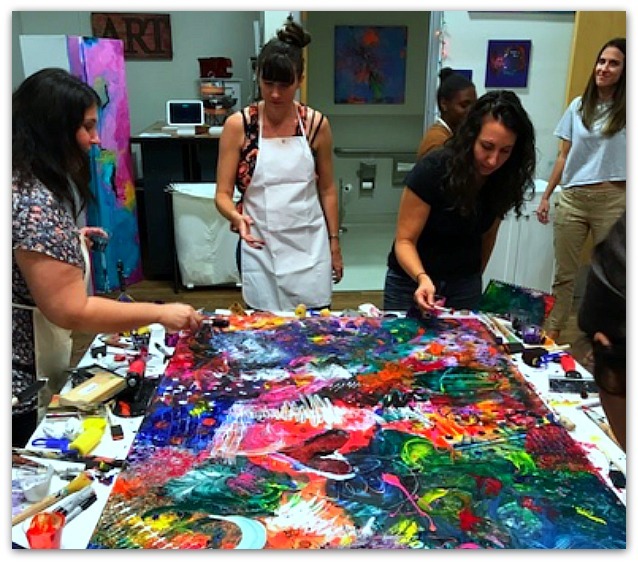 As an educator, I teach Expressive Arts, Painting, Sandtray Therapy and MARI Mandala. I offer a mentoring program for high school students also. I am inspired by creating, teaching, healing, growing and learning with others. I also have two Facebook pages. One is for Expressive Arts. Here on this page I post a lot of videos and articles about how art is used for healing. I also post upcoming events and trainings. The other Facebook page is dedicated to my Live Your Art Studio. 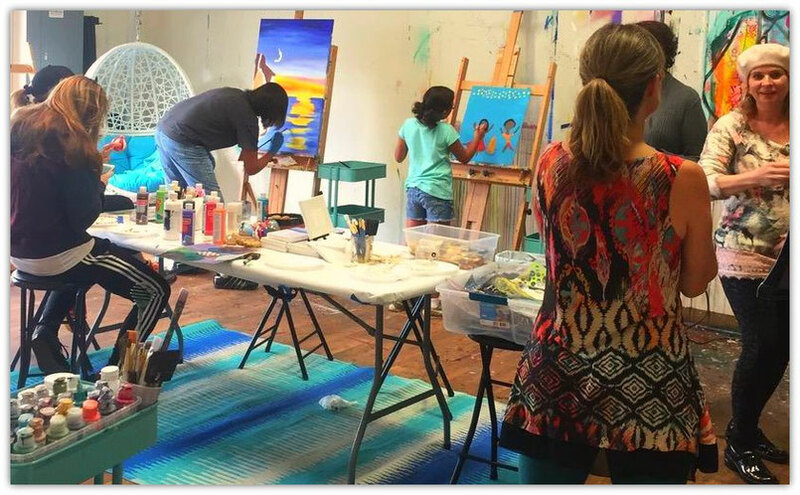 On this page you will see upcoming painting and art gatherings such as Open Studio events and Guest Teacher events. Lots of photos of previous events are found here.